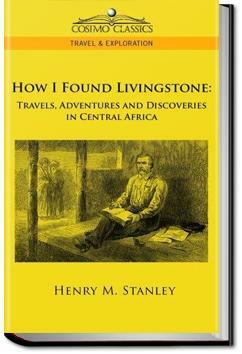 How I Found Livingstone is Stanley’s personnel account of his 8 month trip from Zanzibar to Lake Tanganyika on this quest, including time spent exploring the area with Livingstone.
. . . one of the savannahs, whose soil during the rain is as soft as slush and tenacious as thick mortar, where we were all threatened with the fate of the famous Arkansas traveller, who had sunk so low in one of the many quagmires in Arkansas county, that nothing but his tall "stove-pipe" hat was left visible. Historically interesting, as it's a primary source. Though, having read "King Leopold's Ghost," the part this book and its author played in inciting a tragedy can't be overlooked. Nor can Stanley's obvious tendency to exaggerate and lie, which comes through pretty clearly on the page. The premise of this book is almost hard to believe--an adventurer is commissioned to find the long-missing, presumed dead, explorer/missionary David Livingstone, somewhere in the interior of Central Africa. The payoff, unfortunately, is a bit mixed.